My newest book is entitled STONE SILENCE. It's the first in a series called the SOUND OF SILENCE series. Book two will be entitled JAILBIRD and book three will be entitled HOTHOUSE FLOWER. At least those are my working titles. They are subject to change as I write each book. The covers are almost done and I can't wait to share them with you! Recently, I was working on my book and a few strange coincidences happened, reminding me that sometimes I feel compelled to write a story--as if the universe is saying, "YES, write this book. Write this book NOW!!" I realize that all of these happenings are coincidence, but I like to imagine there are bigger forces at work here, so indulge me on this!! STONE SILENCE takes place in the summer of 2015 during the GREAT TEXAS FLOODS. We had to travel to Austin to visit our son during this time and it was during our drive home that I felt inspired to write STONE SILENCE. More on this in a future post. So, what are these amazing coincidences that happened? Keep in mind, they're just little things, but they seemed BIG to me at the time. A few months ago, I heard the song GIRL CRUSH and it spoke to me. The feelings that are evident in the beginning of the second book in the series match the feelings in the song perfectly. The song has really inspired me as I write the beginning scene of book two. There is a scene in book one where the two characters are in a restaurant. I wanted to have a significant song playing in the background--and I wanted it to be a country song. I searched around for a while, not finding a song that appealed to me. Then I thought, it's supposed to be 2015, what were the top country songs that year. I looked it up and guess what? Yep, you guessed it! GIRL CRUSH was the number one song. I sat there and stared at my computer screen for a full minute, feeling awestruck. Such an amazing coincidence. I love when the pieces of a book just seem to fit together so perfectly. The next few things that happened are just odd little coincidences that inspired me as well. Perhaps they are silly, but each moment made me more and more determined to write this series. I know, weird, and I'm imagining things. As an author sometimes small things inspire me! 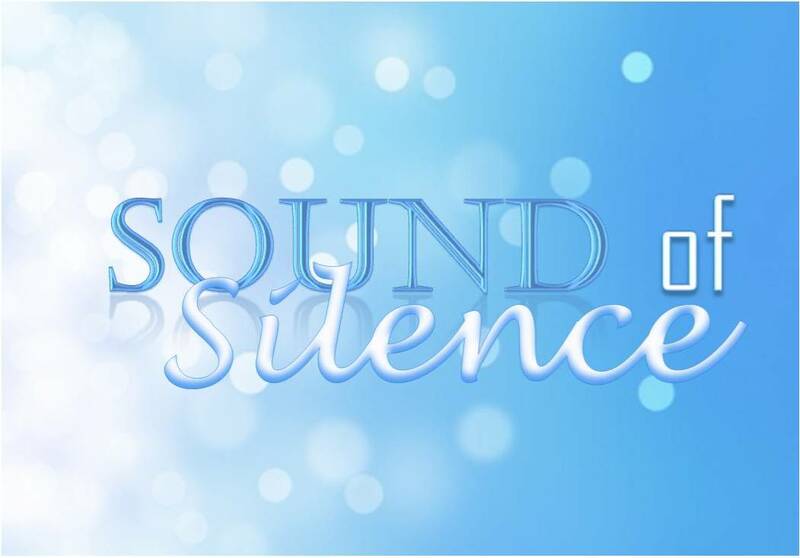 #3 Next, I was watching the finale of DWTS and my favorite freestyle dance was danced to the SOUND OF SILENCE. The young man dancing in the video is DEAF and he is AMAZING. He ended up winning the season. Just to reiterate, a deaf man won DWTS!!! Incredible! As for me, yep, I was inspired once again! Not just by the music, but by the heartfelt emotions expressed through dance. So, yes I have concluded that I NEED to write this series! Reminders are all around me! Jess is working on the covers this week! I'm so excited to see what she comes up with. Of course she could also have her baby any day now--and when that happens we will be on our way to meet our new granddaughter. So excited! I miss you, Rachel! But, judging by your facebook posts, I'd say you are loving Utah! So happy for you! I'm going up to visit her this weekend! It is amazing how things just show you that you have to do it now! Get to work lol. While the universe is giving me hints to write this book, it is also creating many obstacles! I've had so many other responsibilities lately that have prevented me from writing as much as I'd like to. However they are family responsibilities and they always take precedence over anything else. But I WILL get these books written! Otherwise I will burst!! I love it too, Jana. There's something about that song that gives me goosebumps as well. It is an emotion packed song and the lyrics are beautiful. Other than Lancaster House, I haven't written a series before. When I started writing Stone Silence, I was not planning on it being a series. But the other characters NEED their own story, so I'm going to give it to them. I'm super excited about this new project. I'd like to be by myself in a cabin in the mountains for a week and spend all of my time writing because the stories are bubbling inside of me dying to get out! Yea! I'm always so excited to hear about your new book. I love all the coincidences. Good luck, and let me know if you need to bounce ideas off me or something while you're writing. If you're up for it, I love bouncing ideas off of you! I hope to have the final draft of Stone Silence polished soon. Then I'd love to send it your way for a critique. But, I'm taking my time with this one and making sure I'm happy with it. My work is much better if I really dissect it and take my time. If I hurry the process, then it is just not good!